Lets face it, you are up late and the fridge is calling your name! Eating healthy is easier than it sounds, right? Healthy eating is not about staying unrealistically thin, or depriving yourself of the foods you love. Rather, it’s about feeling great, having more energy, stabilizing your mood, and keeping yourself as healthy as possible—all of which can be achieved by learning some nutrition basics and using them in a way that works for you. You can expand your range of healthy food choices and learn how to plan ahead to create and maintain a tasty, healthy diet. A well-rounded, nutritious diet promotes overall health. With all the different diet plans, it’s hard to decide what you need to eat to be healthy. Instead of candy and other sweet treats, lets talk about some Healthy Snack choices just for you! Potato chips may satisfy your craving for a salty, crunchy snack, but they’re giving you nothing but empty calories — not to mention loads of fat. 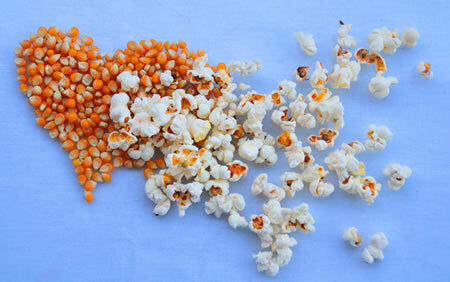 Try popping your own popcorn for a whole grain snack that’s packed with fiber. 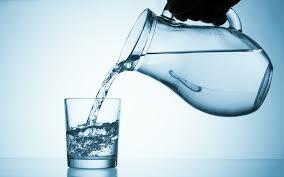 Ditch the caffeine-loaded Coke and treat your body to a nice glass of ice cold water. If soda is your daily drink of choice, avoid headaches by gradually decreasing the amount of soda over several days instead of cutting the caffeine all at once. You still have time to get fit for Spring and you can start with decreasing your soda intake. Yogurt is a nutritious snack, right? In many cases, that’s simply not true. Check the nutrition label of your favorite flavored yogurt and see how many grams of sugar are lurking inside your creamy treat. Chances are, there are anywhere from 10-30 grams of sugar in a single serving. Switch to plain, nonfat Greek yogurt that’s packed with protein — around 18 grams per serving. Sweeten with a natural sweetener such as agave or maple syrup and top with berries. Yum. The healthier alternative for a sweet snack. Cookies contain only 100 calories and zero trans fat. Remember, limit yourself to eating one bag at a time. 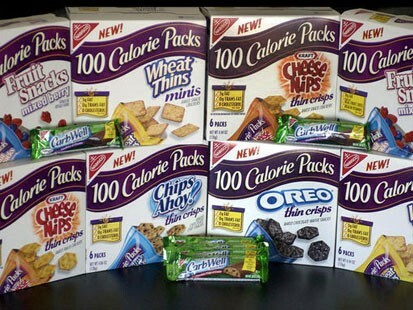 Eating two packs of the 100 calories packs at once is no better than enjoying a sweet Hershey bar. Don’t cheat your self and save the sweets for later. Everyone knows that fruits are healthy. Eating a diet rich in vegetables and fruits as part of an overall healthy diet may reduce risk for heart disease, including heart attack and stroke. Most fruits are naturally low in fat, sodium, and calories. None have cholesterol. Fresh fruit contains lots nutrients, including fiber, antioxidants, vitamins, and minerals. Everybody knows that they should be eating plenty of fruits and vegetables every day! Healthy snacks can be the difference between gaining and losing weight. Providing healthy snacks can boost energy levels, improve academic performance and create a feeling of satiety that will prevent over eating. This has been an extremely long winter, however it’s time to start thinking about slipping on our bathing suits. The warm weather is right around the corner. Now is the time to start eating healthy! ← OMG: You Can Get Lice From Taking Selfies!